Due to the recession that we are experiencing right now, a lot of people are trying to save as much as they can on consumer products. As a marketing strategy for a lot of retail stores out there, they are coming up with a lot of promos and discounts to offer the consumers. In the United States, there are two of the biggest retail and wholesale store for all people – the Best Buy and Walmart stores. From food items, toiletries to some very competitive electronics, both Best Buy and Walmart have certainly come a long way in providing what consumers need. But how are they different? Read on below. 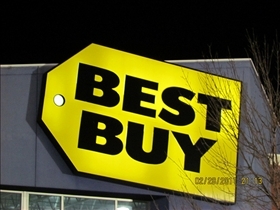 Best Buy Co., Inc. is one of the leading retailers of electronic products in America and Canada, both of which are an easy 19% of their consumer market. Apart from these two countries, Best Buy also caters to consumers in Turkey, China and Mexico and even has subsidiaries that operate under the names Magnolia Audio Video, Pacific Sales, Geek Squad, and the Future Shop. Best Buy Co. has its headquarters in Minnesota. Walmart on the other hand, is a public corporation in America which operates a big chain of discount stores. 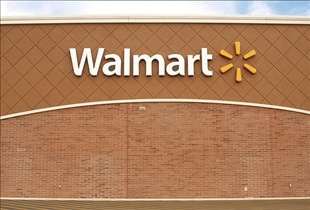 The Fortune Global reported in 2008 that Walmart is the biggest corporation in terms of revenue in the world. Walmart was instituted by Sam Walton and was registered as a corporation in 1972. To date, Walmart is the biggest retailer in the US which also operates in North America through Sam’s Club stores. Best Buy stores operate a mobile store apart from their regular stores all over the US and other countries. These mobile stores are like vending machines which sell electronics rather than snacks and drinks. Some of the people who patronize these vending machines from Best Buy have certain issues about the warranty of the units they get from these mobile stores. Walmart on the other hand have different types of stores because of their wide variety of products. They have the regular Walmart stores, they have the discount stores and they also have the Walmart super center. They also have opened a Supermercado de Walmart which caters to the US’s Hispanic communities. They also have the Sam’s Club which sells general merchandise and groceries. Best Buy offers a wide variety of electronic products available today. Aside from that, they also have their exclusive brands of electronics that you cannot find elsewhere, from computers, to video games to home entertainment systems, they have it all at Best Buy including cellular phones and other electronic gadgets. Walmart on the other hand concentrates more on general merchandise and grocery items which are fast moving and considered to be a necessity for all people. Best Buy sells electronic products and gadgets with very affordable prices. Wamart sells general merchandise and grocery items. Best Buy has some mobile stores which are vending machines for electronic products. Walmart has different types of stores for different types of consumers. Which store has the larger selection of video games? Thanks for the wonderful post. I'd prefer to go to Best Buy if I'll buy gadgets and electronic products because their products are way much cheaper than Walmart.